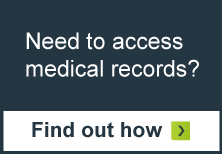 My Health Record (MHR) is an online summary of your health information. You control what goes into your record, and who is allowed to access it. The MHR also allows you to share your health information with doctors, hospitals and other registered healthcare providers. any other notes you’d like to add. Your MHR will be controlled by you. If you choose not to have a MHR, you will still have the same access to the health system as you currently do. Since 2012, the national MHR system has provided a secure online summary of Australian patients’ health information. Key parts of the health system are now connected, such as general practices, pharmacies, private and public hospitals (including WA public hospitals). Over 4.7 million people and more than 9300 healthcare providers are participating. This means that over time, MHR will contain health information such as medical conditions, medicines, allergies and test results in one place to help clinicians in their decision-making for your healthcare. To build on the benefits of the system, there needs to be wide-scale use both by individuals and healthcare providers. The Australian Government has legislated that a My Health Record will be created for all Medicare and Department of Veterans’ Affairs card holders in Australia in 2019, unless they choose not to have one. If you are happy for a MHR to be created for you in 2019, you don’t need to do anything. If you would like to learn more about MHR and its benefits, or if you wish to opt-out, visit myhealthrecord.gov.au (external site) or phone the consumer hotline on 1800 723 471.